I have been fighting every day. I have been fighting with a yellow swallow tail. She (a yellow swallow tail) comes my office. She lays eggs on young leaves of lemmon tree. 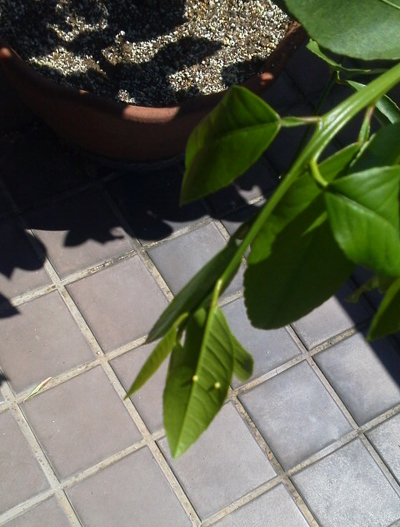 Lemmon tree is my valuable plant.